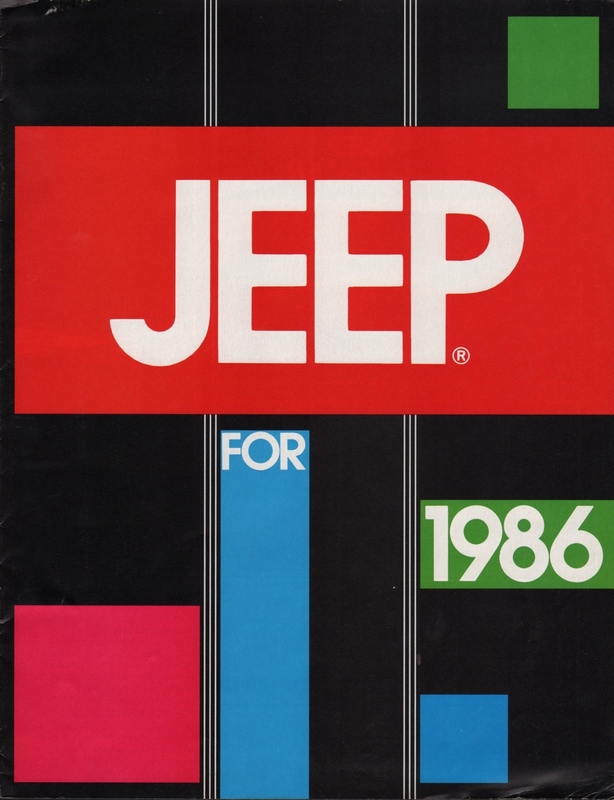 Sales brochure for the 1986 Jeep Comanche, Jeep Cherokee, Jeep Wagoneer Limited, Jeep CJ, Jeep J-10/20, Jeep Grand Wagoneer, and American Eagle. Brochures are presented for research use only. Company marks, emblems, and designs are trademarks and/or service marks of AMC.